The list reflects the outstanding financial performance of 45 top A/E industry firms. PSMJ Resources, Inc., the premier management consulting firm for the A/E/C (architecture/engineering/construction) industries, published its annual PSMJ Circle of Excellence for 2011 on wednesday. The 2011 PSMJ Circle of Excellence is determined by weighting each firm’s ranking in the overall 2011 PSMJ A/E Financial Performance Benchmark Survey with respect to 13 individual benchmarks. These benchmarks are indicative of performance in the various aspects of business operations, including cash flow, overhead control, business development, project performance, staff utilization, and overall profitability. “The PSMJ Circle of Excellence is not determined by firm revenue, profitability, staff growth, or sheer size – nor is it determined by any subjective criteria. The 13 benchmarks that determine the PSMJ Circle of Excellence were chosen to reflect that the firms are well-managed, have a strong client base, and are led in a responsible and sustainable manner. PSMJ believes that clients prefer to work with well-run firms because they are more likely to provide superior service and value,” explains H.E. “Dan” Daniels, PSMJ’s survey editor. The 2011 PSMJ Circle of Excellence reflects the performance of 48 participating design firms, 45 of which have agreed to have their names published. In addition to publishing the PSMJ Circle of Excellence, PSMJ Resources Inc. will hold its fifth conference highlighting the business practices of these outstanding firms in October 6-7, 2011 in Chicago, IL and will feature as speakers the leaders in PSMJ Circle of Excellence firms. To learn more about the Circle of Excellence conference, click here. Now in its 31st edition, the 2011 PSMJ A/E Financial Performance Benchmark Survey includes data from 234 A/E firms in the United States and Canada. The Benchmark Survey provides detailed data and analysis on operating profits, overhead rates, utilization, financial ratios, marketing costs and much more. To learn more about PSMJ’s A/E Financial Performance Benchmark Survey, click here. Finally, some good news for the hard-hit design profession: Firms are hiring again. As the third anniversary of the collapse of Lehman Brothers approaches — the event that delivered the knockout punch to an already reeling U.S. economy — a trend is emerging that may have once seemed unthinkable. Firms are hiring again. To be fair, staff levels are not at their prerecession highs, as new employees are being added in dribs and drabs. In fact, some of the firms boosting payrolls are reluctant to discuss their expansions, lest they get inundated with resumes for openings that are scarce. Yet those firms’ principals say that signs of renewed demand for design services are strong enough to justify new hires. “We’re starting to see improvement,” says Rick Kobus, a founding principal of Tsoi/Kobus & Associates. In 2008, at its peak, the Boston-based firm employed 130 people, but dropped to 70 last summer, as project after project was canceled. This year, however, the firm has hired three employees; two are architects who had been laid off. For Tsoi/Kobus, which historically focused on colleges, commissions are now coming from the medical industry, such as a new research facility for Vertex Pharmaceuticals to be built near Boston Harbor. Kobus notes that clients are being unusually diligent. “There’s so much attention paid to how money is spent and where it’s spent, instead of just racing ahead,” he says. Universities are coming through for other firms. Crawford Architects’ Kansas City office hired two new architects in the last six months, bringing its head count to 15, though that’s still below its 23-employee peak, says firm principal Stacey Jones. Among the recent projects for Crawford, which previously concentrated on pro sports stadiums, are hockey arenas for Penn State and Notre Dame. With the stock market soaring again, “universities have stopped getting the jitters and are continuing on with their building programs,” says Jones. The firm, which has an office in Sydney, also has relied on overseas projects. In that sense, Crawford has something in common with larger firms, like Gensler, which recently opened offices in Bangalore, Singapore, and São Paulo and has hired “several hundred” employees to help staff them, according to a spokesperson. In contrast, Gensler cut 25 percent of its staff, from 3,700 to 2,800, during the downturn (which officially ran from December 2007 to June 2009, according to the National Bureau of Economic Research). Government commissions are another silver lining. For instance, Architectural Nexus, of Salt Lake City, recently designed a data center for the National Security Agency in Draper, Utah. That project and others helped the firm up its staff from 100 in 2009 to 170 today, says Kenner Kingston, a senior principal. Combination architecture and engineering firms may have had an advantage because one side propped up the other. The head count at Arkansas-based Crafton Tull dipped from 330 to 250 during the recession, but the cuts could have been far worse without numerous natural gas well projects for engineers, says spokesperson Daryl Whitmer. The firm, which has added 10 people on the design side in 2011, is also finding sweet spots with colleges; it recently designed a campus for the Tulsa Technology Center, a two-year public college in Owasso, Oklahoma. The brighter outlook is supported by statistics. The Architecture Billings Index, a measure of the industry’s health, had hit scores of 50 or better for five straight months before dipping to 47.6 in April. Also, in the first quarter of 2011, the federal jobless rate among architects and engineers was 4.6 percent, down slightly from the fourth quarter of 2010, when it climbed to 5.5 percent, according to the U.S. Labor Department. Those upticks jibe with what executive recruiter Tom Ward is seeing. The first half of 2010 was a “disaster,” he says, but in recent months, he’s been deployed for a handful of job searches. “I would call it a ‘tentative feeling’ about things improving,” he says. We all know that relationships are the foundation of successful project and client pursuits. But, do we really understand what it takes to form a real connection with our clients? Truth is, there’s a lot more to building and fostering client relationships than giving and receiving a business card. The following 10 tips can turn an otherwise cold acquaintance into a qualified pursuit. 1. Have a plan. No matter what the endeavor, you must have a plan. Determine your targets and include action items, costs and timetables. Monitor your progress periodically. 2. Know their business. It’s impossible to understand a client’s needs if you don’t understand their business. Start by finding out what they read and which organizations they belong to. Then, read those publications and attend applicable functions. 3. Know them personally. People do business with people they like. Figure out ways to get to know their interests outside of work. You’d be surprised how much you can learn from just a quick visit to their office. 4. Listen with your ears and your eyes. You can tell when someone isn’t really listening to you. So can your clients. While they are speaking, look at them and listen with your eyes. They’ll pick up on your nonverbal communication. 5. Make the most of meetings and phone calls. An occasional “how are you” call is certainly okay. As a general rule, have an agenda for each client communication. Leave the meeting or end the call with action items and next steps. 7. Share leads. Remember, it’s not just about what you get from the relationship. Find ways to help them be successful in their industry, such as sharing information about industry trends or passing on business leads to them. 8. Confidentiality is key. A breach of trust is the quickest way to sever a relationship – client or otherwise. Don’t do it. Don’t even consider it. Ever! 10. Stay focused. Again, it’s all about your plan. Don’t let it collect dust on the shelf. Use it and refer to it often. Revise it as necessary. Keeping track of your progress will ultimately enhance your existing relationships and help you form new ones. Maintaining a great relationship with your clients will ultimately benefit you and your firm’s bottom line…make sure you make strengthening your client connections a priority. Looking for more information on how to better manage your client relationships…come to PSMJ’s 2011 A/E/C Marketing Bootcamp: THE Program On How To Get And Keep Clients. PSMJ is hosting only 3 more bootcamps this spring: June 2-3 in Washington, DC, June 9-10 in Chicago, and June 23-24 in Las Vegas. Get the tools and confidence you need to succeed in bringing in more work for the firm – register today! While pockets of contradiction surely remain, there is no denying that overall confidence and optimism in the A/E marketplace is gaining momentum. In fact, according to the latest Quarterly Market Trends (QMT) report from PSMJ Resources, Inc., firm leaders haven’t been this confident going into a second quarter since 2007. 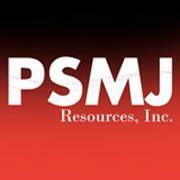 Since 2003, PSMJ has surveyed A/E firm leaders on a quarterly basis regarding what they are seeing in the marketplace. The survey queries respondents on conditions in a variety of markets and submarkets as well as overall health of revenue, backlog, and proposal activity. Among other things, the latest survey looks at revenue projections for the second quarter of 2011 and shows that 56% of firm leaders expect second quarter revenue to be up from the first quarter. This is the highest percentage of respondents forecasting growth in a second quarter since 70% had the same outlook in 2007. There are 10 specific qualities that all great leaders possess. Most of these qualities can be learned to some degree of competency, and can certainly be improved upon with consistent focus. 1.Passion to work for reasons that go beyond money or status. Leaders work the long hours because they “love the chase.” They want to make the difference. They have the desire to lead. 2.Love of learning and an appetite for knowledge. Leaders constantly read and study. What are you carrying around right now and reading? What was the last book you read? 3.Sense of urgency. Everybody believes the leader is a step ahead; yet, as you watch them, they act as if they are two steps behind. That is their sense of urgency. 4.Strong network. Shaking hands is not a network. 5.Leaders allocate sufficient time to managing and developing relationships. They know they are in a people business. They know that people will ultimately define their success or lack of it. This includes relationships at all levels including peers, outsiders, subordinates, and your boss! 6.Boundless energy and overflowing optimism. A positive attitude is contagious. Leaders articulate a vision that is compelling, imaginable, desirable, and feasible. 7.Innovative. Become an idea generator. Read, read, read. Read everything you can get your hands on that will spark your creative thinking. Spend some time each day in a quiet spot where you can just think. 8.Possess a professional competency valued by the company. Leaders possess a skill that the company values, whether it is design, technical competency, or operational excellence. 9.Have a clear vision of what you want. Leaders know exactly where they want to go. Their plan may change over time as new opportunities develop, but at any given time they must know the direction they are headed.Impeccable integrity. In everything you say, and even more importantly, in everything you do. PSMJ's A/E/C Project Management Bootcamp instantly and dramatically improve your ability to manage projects for quality, speed, and profitability. Click here to order or contact PSMJ Education Department at education@psmj.com or (800) 537-7765. Successful project managers know the value of having an assistant PM on each of their teams. The way it works: for each project, you designate one or more team members to assist with PM tasks. You retain authority and responsibility as project manager, but your assistants ensure completion of the tasks supporting your management decisions. “Assistant project manager” is not an official team position. Nor is it intended to add bureaucracy to project delivery. Whoever takes on the assistant PM role undertakes an added assignment, expanding his or her normal project responsibilities. • Man-hour budgets. The project manager makes strategic decisions on allocations of fee, while others then work out the details. The assistant PM distributes the fee based on the PM’s verbal guidelines. The PM lets the assistant PM and other team members work with accounting staff to “crunch the numbers” for the PM’s approval. • Schedule. Based on key milestone dates the PM establishes, the assistant PM roughs out the overall project schedule. When the schedule needs revising or updating, the PM determines the strategy, establishes the new milestone dates, and leaves the actual task of updating to the assistant project manager. Having an assistant PM will help you improve your delegation skills and home your management style. And it will help the assistant PM take on more responsibilities and create a stonger team for your client. Learn more tips for stronger project management with the world's most successful project managers by attending PSMJ's A/E/C Project Management Bootcamp. This Bootcamp is a revolutionary training like no other--through interactive case-studies, real-world examples, and proven solutions, you will foster innovation, elevate communications, increase productivity, and improve your firm's bottom line. The American Institute of Architects’ Architecture Billings Index showed improvement again in March, although growth remained very modest. While the increase in billings has been minimal for the past three months, March marks the fifth month in a row that there has been an overall improvement in business conditions. The Architecture Billings Index recorded a score of 50.5 in March, indicating a slight increase in billings at U.S architecture firms over February numbers. Firms in all regions reported billings near or above the 50 level, signifying that the improvement in design activity is broad-based in each region, and most segments of the profession are reporting at least modest improvement since the fourth quarter of last year. Index results by specialization were mostly positive, especially in the construction sector. Commercial/industrial firms have steadily reported gains each month since last July. Residential architecture firms have also seen increased business each month since last October, although recent gains have been very modest. After seeing gains from November through January, institutional firms–the largest building market for architects– has seen a decreasing workload over the past two months. Regionally, firms in the Midwest have reported billings growth each month since last September. Firms in the Northeast and South have reported a mix of months with modest growth and months of modest declines over the past two quarters. Western firms reported an increase in billings in March; the first time since August 2007. This is reassuring, and could mean the trend of steadily declining work may finally be over. This steady and increasingly wide-spread growth gives the impression that we are in the midst of a sustainable recovery for the architecture industry, and is giving firms the confidence to hire back employees they lost in the recession. The U.S. economy has added payroll positions each month for the past six, and over this period total payroll growth is close to 900,000 positions. As a result, the national unemployment rate has declined to 8.8 percent, down almost a full percentage point over the past two quarters. Overall, over a third of firms (35%) anticipate that the number of architecture positions will increase by the end of 2011, while just 10% anticipate a decrease in the number of positions. The remainder expects them to remain at current levels. Larger firms (with billings over $5 million annually) are the most optimistic about expansion this year, with just over half expecting to add positions. However, a relatively high share (almost 14%) anticipate a decline in positions. In contrast, only 17% of smaller firms (with billings under $250,000 annually) expect to add positions, but only 5.5% expect decreases. Almost half (47%) of commercial/industrial firms expect to add positions, while just 2% expect to cut some this year. By region, the ABI breaks down as follows from February to March: Northeast is up 51.4 from 46.4, South is down 49.7 from 50.1, Midwest is down 53.5 from 55.3, and West is up 50.6 from 49.1. By market sector: Residential is up 50.8 from 49.7, Institutional is down 48.0 from 48.9, Commercial/Industrial is down 54.7 from 55.0, and mixed is down 49.8 from 51.3. • Competition for all projects is fierce. Payments from clients are slower coming in, causing a trickledown effect of slower payments going out to consultants. • It’s looking promising. Lots of inquiries, but people are very hesitant to sign contracts for the work. • [We’re] having to travel further geographically to find the same amount of work. Projects are generally smaller in size and scope, with less margin due to architects reducing fees to ridiculous levels. • Still very tenuous, and with a governor focused on cutting billions from the state budget, governmental work is not even an option. Going it alone in the A/E/C industry demands focused attention, courage and the skill to control the urge to do what others “appear” to be doing. Here are eight tips on how to prosper as a sole practitioner. - Define your purpose for being in business. Ask yourself what you are trying to accomplish. Are you driven by money, by controlling your own destiny, by a need to express a design philosophy? Write it down succinctly, in measurable terms. Read it daily. - Define what you are selling. Are you selling a client service, a “style,” or a philosophy? Nothing happens without a sale. As a sole practitioner, you can’t be all things to all people. Limit project types too. No one is good at everything. - Define your business philosophy. Decide how you will charge, how much you will charge, how you will invoice, how often, and what form of contract you will use. Keep it simple. Keep it short. Stay consistent. Above all, enforce your rules, or you won’t get paid. - Control overhead ruthlessly. No fancy office, no secretary, no company car, nothing that does not directly get you work. Ignoring this tip is where most small firms fail. We’re all suckers for great furniture, great spaces, and perks. If you want all that, go to work for a big firm and give up control of your destiny. Work out of your house and thrive. Rent space and you must support monthly rent. If you need a meeting space once in a while, rent it by the hour. - Network, not brochures. When first starting out, don’t waste money on fancy brochures. Focus your entire sales energy on developing a mailing list of contacts. Network diligently through friends, acquaintances, professional client associations, political activities, volunteer work, or other avenues. Give every contact your business card and always get theirs. - Contract labor exclusively. Avoid hiring employees at all costs. Instead, use part-timers, or subcontract part of the work. Employees get perks and benefits— that’s overhead. Be sure to work overtime yourself long before you hire your first person. - Improve yourself regularly. Never stop learning. Never stop re-inventing your business. Instead, study something that will add value to your business. Learn what it is that your clients really want on top of what you now do. Then, go get the skill. Also, never stop improving your writing and communication skills. - Work fast. Anyone can complete a project given unlimited time. The magic of this business is to work well, FAST. Generally by the time clients hire you, they already want their project completed. Slowness aggravates a client. Missed deadlines wipe you out. Remember, no project is perfect. Work quickly with 80 percent perfection, and your clients will love you. Complete 100 percent of your projects perfectly, but late, and your clients will hate you. The other very important thing you should do when starting out on your own is make sure you have someone on your side who can give you trusted business advice. At PSMJ, we have been giving A/E/C practice advice for over 35 years. With a 1-year subscription PSMJ’s flagship monthly newsletter for design for leaders, Professional Services Management Journal, you’ll get all the information you need to become a great success. Every issue of Professional Services Management Journal packs dozens of fresh approaches and proven-effective strategies to help you lead your growing practice to its maximum potential. This newsletter is a must-have for up-and-coming firm leaders. Go to our website to start your subscription today!